We create remarkably unique AI Products that offers developers a plethora of handcrafted Artificial Intelligence libraries and frameworks to get started with intelligent software development. Syn Virtual Assistant framework has been designed from ground up to be flexible, extensible and stylish. 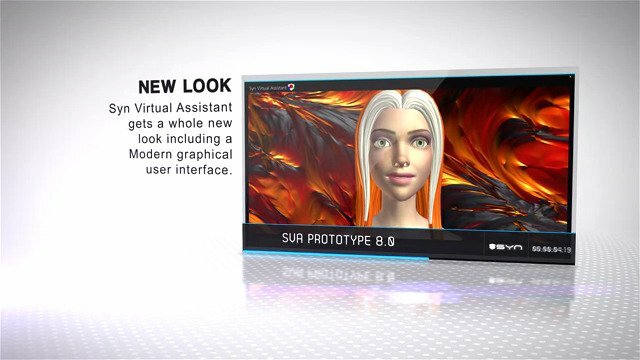 Start building your own custom intelligent Virtual Assistant within minutes. 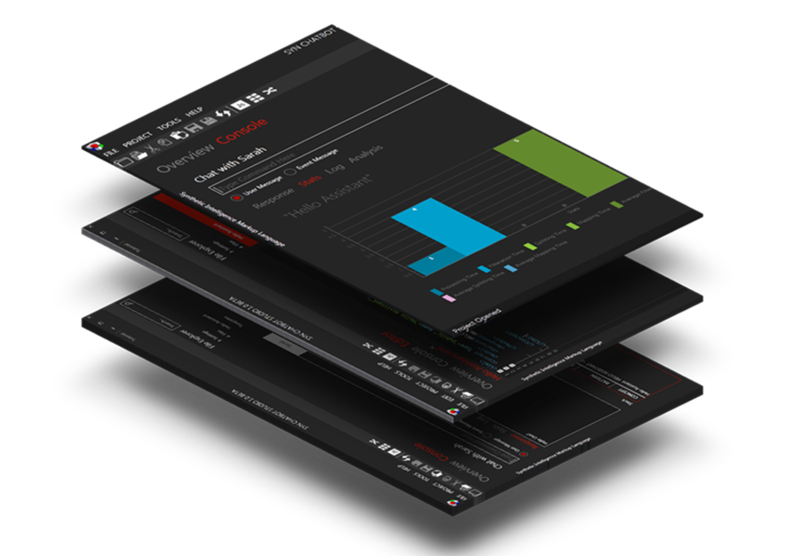 Syn gives its developers the flexibility to build intelligent software using robust libraries and frameworks. Our unique framework building approach leads to faster deployment of AI software solutions leaving more time for developer teams to craft their perfect product. We've built our frameworks from the ground-up as powerful, easy to understand frameworks with particular focus on providing comprehensive documentation and reference guides. Synthetic Intelligence Markup Language is one of our unique, feature-rich and unparalleled Bot development language. Oscova is a state-of-the-art Bot development architecture with superior NLP and Entity Recognition capabilities. Meet LEARNEVA Artificial Intelligence (AI) Training Course. Our certification based AI Training program that covers Programming in Python, Neural Networks, Deep Learning (Machine Learning) and Natural Language Processing along with AI career guidance. 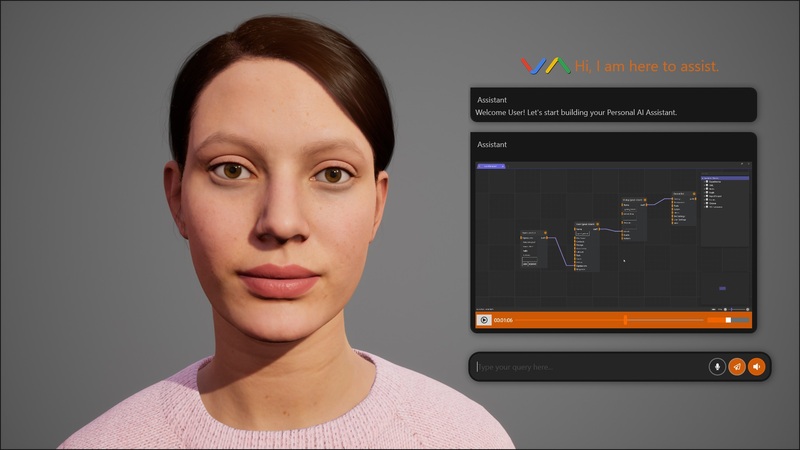 Synthetic Intelligence Network was started by our Lead Architect Leslie Timmy back in the year 2011 with the mission to create an extensible and freely available 3D Virtual Assistant with suggestions and feedback from developers and researchers world wide. Since then Synthetic Intelligence Network has evolved into what you see today. All products released by Synthetic Intelligence Network are free for personal use and for contributing to open source projects. We don't just create Products, we ensure that we deliver every possible tool and resource to developers that may be required for a hassle free and effective software development. No private Company will prefer to run based on ethics and morality higher than the Company's profitability. That's where we beg to Differ. We believe in a humble and simplistic approach by making tools and resources available to the field of computer science and researchers and thereby enhancing the pace at which machines become more human-like. Synthetic Intelligence Network is deeply commited to its Developer Community. We focus and invest heavily in building a rock-solid developer community. We take your forum suggestions seriously and have been using these suggestions to shape the future iterations of our products. Join our Developer Forum to share ideas, give suggestions or even to start discussions with other like minded people in the AI industry. Find all Tutorials and API documentation in our Developer Network. You'll never have to look anywhere else. Got questions or need help with your project? Join our Developer Forum of over 1700 members and let the community guide you through. Reference any required library from within your Visual Studio project. All major libraries are available as NuGet packages. We love to be part of open-source projects, It's on us, our frameworks can be used in Open-source projects as such and include all core features and updates. Unconditional support for everyone with dedicated support forum. We aim to assist you in plain English as quickly as possible. Get hands on samples, demos and other useful tools which help you learn how to build your application from the ground up. Start your development with confidence. Meet LEARNEVA - Our mission to provide the best in class AI-Centric Training Course. Synthetic Intelligence Network is a brand of REVARN® Cybernetics. An Artificial Intelligence Software development company established in Bangalore.